Please revisit devotionaltree.com for more spritual videos, audios and devotional knowledge, Thank you so much. Holika Dahan also Kamudu pyre is celebrated by burning Holika, the devil. 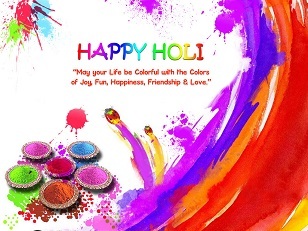 For many traditions in Hinduism, Holi celebrates the death of Holika in order to save Prahlad, and thus Holi gets its name. In olden days, people use to contribute a piece of wood or two for Holika bonfire. 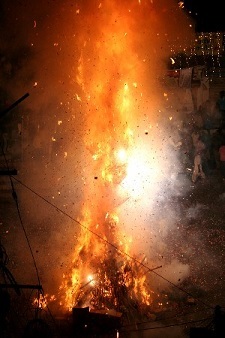 The night before Holi pyres are burnt in North India, Nepal and parts of South India in keeping with this tradition. The youth playfully steal all sorts of things and put them in Holika pyre. It should also be noted that in some parts of India the day is actually called Holika. There are other activities associated with the story of Prahlad, but the burning of Holika is the one that we can most directly associate with Holi. Fire burnt on the eve of Holi (Holika Dahan) symbolizes the burning of Holika. The story as a whole is testament to the power of devotion (bhakta) over the evil represented by King Hiranyakashyapu, as Prahlad never lost his faith. According to one symbolic Hindu myth, there was a king named Hiranyakashipu who, like a lot of demons and Asuras, had the intense desire to be immortal. To fulfill this desire he performed the required Tapas (penance) until he was granted a boon by Brahma. Since the God's do not usually grant the boon of immortality, he used his guile and cunning to get a boon which he thought made him immortal. The boon gave Hiranyakashyapu five special powers: he could be killed by neither a human being nor an animal, neither indoors nor outdoors, neither at day nor at night, neither by astra (weapons that are launched) nor by any shastra (weapons that are hand held), and neither on land nor in water or air. As this wish was granted, Hiranyakashyapu felt he was invincible, which made him arrogant. Hiranyakashyapu decreed that only he be worshiped as a God, punished and killed anyone who did not accept his orders. His son Prahlad disagreed with his father, and refused to worship his father as a god. He continued believing and worshipping Lord Vishnu. This made Hiranyakashipu very angry and he made various attempts to kill Prahlad. During a particular attempt on Prahlad's life, King Hiranyakashyapu called upon his sister Holika for help. Holika had a special cloak garment that prevented her from being harmed by fire. Hiranyakashyapu asked her to sit on a bonfire with Prahlad, by tricking the boy to sit on her lap. However, as the fire roared, the garment flew from Holika and covered Prahlad. Holika burnt to death, Prahlad came out unharmed. Vishnu appeared in the form of Narasimha - half human and half lion, at dusk when it was neither day nor night yet, took Hiranyakashyapu at a doorstep which was neither indoors nor outdoors, placed him on his lap which was neither land, water nor air, and then used the lion claws to fight Hiranyakashyapu - which was neither a hand held weapon nor a launched weapon. In this form, the boon of five special powers granted to Hiranyakashyapu were no longer useful. Hiranyakashyapu was killed. Prahlad and the kingdom of human beings were thus free from the compulsion and fear of Hiranyakashyapu. The good was victorious over evil.